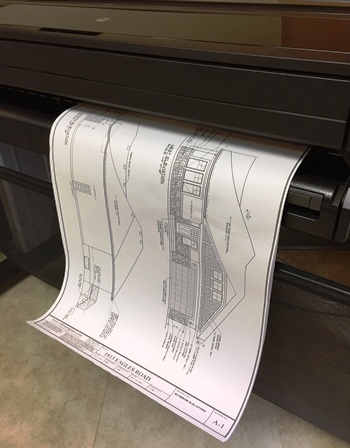 The details of your project are important, that's why we have a top quality printer to handle your blueprint needs. Let our staff of experts show you the standard black & white drawings or full color. We can print from a PDF file in sizes 24" x 36" or 36" x 48". Go to the "Send a File" button if you have files and upload directly to us.